Playing in an online casino is a lot of fun and good entertainment. To make your play time as long as possible and to give you an incentive to try out and play at a specific online casino, the operators offer you many different promotions where you can get bonus money to play with. Many players appreciate these casino promotions and make use of them regularly. However, the bonus money is not free money as such, it is usually tied to wagering conditions that must be met before you can cash out any winnings derived from the bonus. It is important that you make yourself familiar with what exactly the wagering requirements for bonuses are and how they work. The wagering usually means that you have to play the bonus amount a certain number of times before the remaining money is converted into real cash. It is important to compare the wagering requirements of different casinos before you play with bonus money, as they can be very high in some places and much lower in others. Below, you can find a calculator that shows you how much the wagering requirements for a particular bonus are. What do you want to calcul ? I have already stated this in the introduction, but it is worth repeating: it is very important that you read the bonus terms and conditions before playing with bonus money! The terms give you information about the wagering requirements of the bonus, if receiving the bonus is tied to a deposit or not, how much the actual bonus is, how winnings from free spins are credited, which games you can play with the bonus money or if there are any withdrawal limits, for example. Depending on the type of bonus, these conditions can vary significantly, and it is important that you know exactly how to use the bonus to make the most of it. Before you can play with bonus money it is important to find out how you can get the bonus, as some casinos follow different systems. Some casinos credit the bonuses directly after you have made a deposit, and if you do not wish to play with bonus money you have to tell the customer support to remove the bonus. Some other casinos require you to tick a box when making the deposit, and it is also not uncommon that you have to enter a bonus code to receive the bonus. Each bonus can have different terms and conditions attached to it that you need to make yourself familiar with when playing with the bonus money, as it is important to know when you are able to cash it out. The bonus wagering conditions are by far the most important aspect that you need to keep in mind when playing with bonus money. The wagering means that you need to play the money a certain number of times, usually between 30 and 40 times, before you are able to withdraw any remaining winnings. It is also important to know if it is just the bonus amount that you need to wager or the bonus and the deposit, as it can make a significant difference in how much you have to wager. Some casinos even go that far and offer you wagering requirements of just once, which means that you have to play the bonus through and you can keep the winnings. However, this type of bonus is very rare. Most online casinos also impose rules were certain games contribute different amounts to the wagering requirements. Games with a lower house edge, such as table games, blackjack, video poker or some other instant games often contribute much less to the wagering requirements than slot machines. It is usually just the video slots that contributes to 100% to the wagering requirements, which means that every 1€ you spend will count as 1€ towards the wagering. 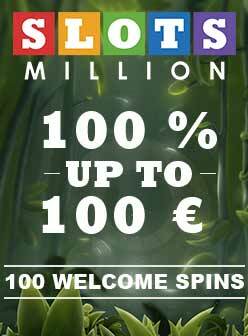 If a game is valued only 10%, every 1€ that you play will be counted as 0.10€ towards the wagering requirements and this makes it more difficult to fulfil the wagering requirements, as slot machines are a lot more random with the outcome than a table game, such as roulette where you would be able to play the even chances bets. As you can see, it is important to compare the bonuses and the wagering conditions, as the amount you have to wager gives you an indication of whether or not it is realistic to fulfil the wagering requirements and withdraw any winnings. The higher the amount to wager, the more difficult it is to fulfil the wagering requirements. By reading the above, you might ask yourself the question Why should I play with bonus money, if the wagering conditions are very difficult to meet?. Well, bonus money is free money from the casino that allows you to play longer and get another chance to pocket a larger amount of money, as you can play longer and get more chances. However, if there were no bonus wagering requirements, or if they were very easy to fulfil, the casinos would need to shut down very soon. Some online casinos also offer you free bonus money, often after you have registered a new account, and this can come in the form of free spins or smaller amount of money that you can play with. The wagering conditions for these types of bonuses are usually much harsher than for the other promotions, and it is often impossible to cash at any winnings at all. However, this money gives you the opportunity to take a look at the casino and what it has to offer, and play the games with real money without any obligation of making a deposit. To see how much you need to wager in order to fulfil the bonus wagering requirements you can use the calculator above. Simply enter the amount you wish to deposit, how much the bonus percentage is, and what the wagering requirements are, and you can see how much you have to play for before you are able to withdraw any remaining winnings. You can use this calculator as a valuable tool to make the most of your games at the casinos. In any case, if you are uncertain about the terms of the specific bonus at an online casino you can contact the customer support and ask them for more information.